Cocaine addiction is one of the most common drug addictions in our society. It used to be a drug associated with wealth, often used exclusively by businessmen and celebrities. 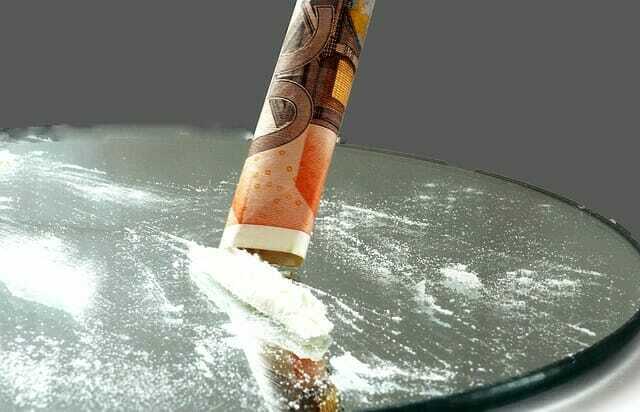 However, cocaine is now very widely available, as its cost has reduced because drug dealers tend to ‘cut’ or 'mix' it with cheaper drugs and dangerous chemicals. Short-term consequences of cocaine use can be minimal at first. However, addiction creeps up very quickly by using it more and more often. The long-term effects of excessive cocaine use can be incredibly damaging as cocaine addiction is often combined with excessive alcohol use. It can also lead to addiction to sedative drugs such as heroin and benzodiazepines, as users often use these drugs to 'bring them down' from the intense high experienced from excessive cocaine use. This combination of drug use is very dangerous and can also lead to other addictions and consequences. Using cocaine with alcohol (or other drugs) can substantially increase the risk of side-effects. Alcohol and cocaine together can be particularly dangerous, as they mix together in the body to produce a toxic chemical, called Coca-ethylene. This toxic chemical increases the risk of heart problems, seizures, liver disease and mental health problems. What is Cocaine or Crack? Cocaine has two forms - powder cocaine (called coke) that is snorted and crack cocaine that can be smoked or injected. Cocaine is a powerful stimulant but its effect is with short-lived. This means that it temporarily speeds up the way your mind and body work but the effects wear off within a short time. All types of cocaine are addictive. However, crack tends to have a much stronger effect and can be more psychologically addictive than snorted powder cocaine because it reaches the brain more quickly. Injecting crack will also reach the brain even more quickly and this has more serious risks. Users can and do die from a cocaine overdose. Excessive use can raise the body’s temperature, cause convulsions and heart failure. Risk of overdosing increases if cocaine is mixed with other drugs or alcohol, which is often the case for many cocaine users. Cocaine addiction is highly risky for anybody with high blood pressure or a heart condition. Even perfectly healthy young people can have a fit or heart attack after taking too much. Excessive cocaine use can lead to serious brain problems including memory loss, anxiety, paranoia and panic attacks. Regular cocaine use also makes people feel depressed and run down. Cocaine addiction can bring previously undiagnosed mental health problems to the surface, or aggravate previously existing mental health problems. Over time, snorting cocaine will seriously damage the cartilage in your nose that separates the nostrils. Heavy users may lose their cartilage and end up with just one big nostril and a hole in the nose, which is irreversible. Taking cocaine when you’re pregnant can damage your baby. It may cause miscarriage, premature labour and low birth weight. Regularly smoking crack can cause breathing problems and pains in the chest. Frequent users find they begin to crave more – so it can become an expensive habit to keep and people experience massive financial problems. This leads to crimes and family breakdown. Injecting drugs can damage veins and cause ulcers and gangrene. Sharing needles can spread HIV and Hepatitis infections. It’s easier to overdose if you’re injecting cocaine. Heavy crack users may take heroin to try to dull their cravings, so they may get hooked on heroin as well. Injecting a mixture of cocaine and heroin called ‘Speedballing’ can have fatal results. Cocaine addiction results more in psychological dependence rather than physical dependence. This is why there is no recommended medical detoxification treatment for it. 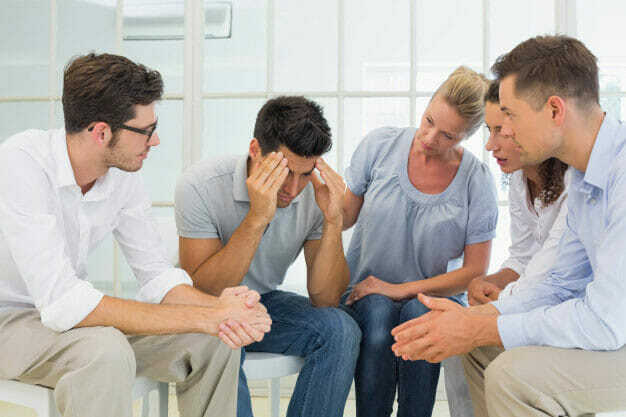 However, intensive psychological intervention is essential in the treatment of cocaine addiction because of its associated strong psychological dependence. Good News - Rehab Healthcare can help! If you or a loved one has a cocaine addiction, please speak to one of our advisors who will be able to guide you on how to get help. Overcoming cocaine addiction can be very easy with the right professional help and support. It is also worth mentioning that cocaine use is illegal in the UK.